Cryotherapy is a fairly new buzzword in health circles, but the truth is, it’s been around for many years. Developed primarily in Japan and spread throughout Europe, the techniques have become popular through most areas of the world in recent years. Cryotherapy is a cold temperature treatment technique designed to provide cures and improvements to overall body health. The word “cryotherapy” literally means “cold therapy”. It is a science based on applying cold air, water or other materials to various local areas of the body. An example is placing an ice pack on a bruise or immersing an injured arm in an ice bath. Whole body cryotherapy takes the principles and techniques of local cryotherapy and adapts them into an overall full-body experience. The individual enters a special area with minimal covering, allowing the cold treatment to reach all areas of the body at once. When the body is exposed to extremely cold temperatures for several minutes, the tissues are affected both internally and externally, and several transformations take place. Damaged tissues recover more quickly, and constriction of vessels slows blood flow to extremities, reducing inflammation and lowering levels of pain. Infections and diseases are often destroyed, and the body is set free to recover more easily and create healthy replacement cells. There are many potential benefits to whole body cryotherapy. Pain and Muscle Treatment. Whole body cryotherapy is an effective method of reducing pain from muscle fatigue and from some types of injuries. The freezing temperatures have a soothing, healing effect on the muscles of the body, rejuvenating tissue and helping to reduce inflammation. Weight Loss. Proponents claim that a single session of whole body cryotherapy can burn off hundreds of calories, and that repeated applications can boost your everyday metabolism and keep your body consistently burning calories at an enhanced rate. Skin Conditions. Cryotherapy is also used as a treatment of various types of skin conditions such as eczema and psoriasis. The surface tissue exposure to the cold temperature freezes the affected area, killing the condition and helping the body create fresh, clean skin cells. Arthritis. Many patients are using whole body cryotherapy as a way of reducing the inflammation and pain symptoms of rheumatoid arthritis. The simple principle of placing cold items, typically in the form of ice packs, on inflamed areas to bring relief is expanded to include the entire body, with overall satisfying results. Cancer Treatment. The development of cancer in the human body has long been tied to inflammation. Since whole body cryotherapy is effective at reducing inflammation, the treatments have the potential to help lower the risk of developing cancer, to slow the progression of any existing cancer cells, and even help reduce it in an infected body. While the technique is fairly new and long-term studies are not available, testimonies of successes continue to abound. 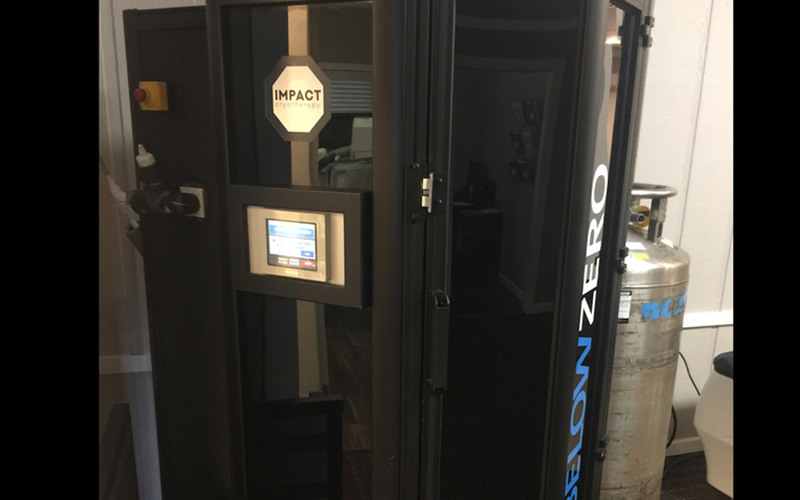 Most who try whole body cryotherapy testify to the advantages and benefits they are seeing from the treatments, and many are scheduling repeat sessions to continue to experience the positive effects long term. Come to try a treatment out at our clinic!